The perfect twist to a classic is this round baroque necklace with a single initial. 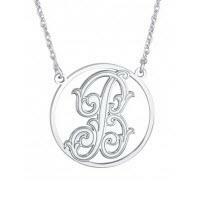 This elegantly detailed monogram pendent is made with lavish baroque inspired fonts and double lining. Available in your choice of rose, yellow or white gold, measures at 25mm (about an inch) and includes a 16 inch or 18 inch rope chain. This would look stunning with a simple, classy black dress or can be dressed down with a cardigan and jeans. 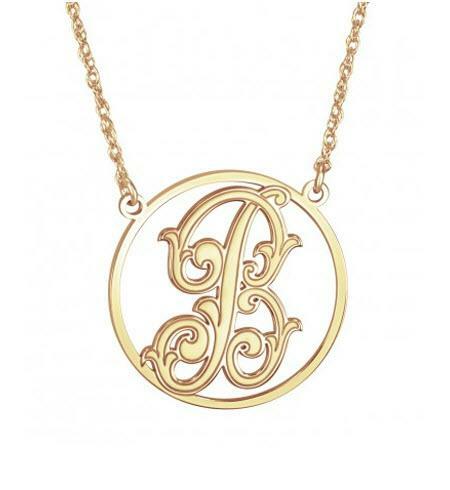 A fantastic addition to your accessories that you can wear year round, will never go out of style and can cherish this piece for many years to come.